Designers logbook day x – lost track of days already spent on the design. There are four types of people. People who can dream and envision products. People who can actually design these products. People who can build the designs and people who just buy the product. 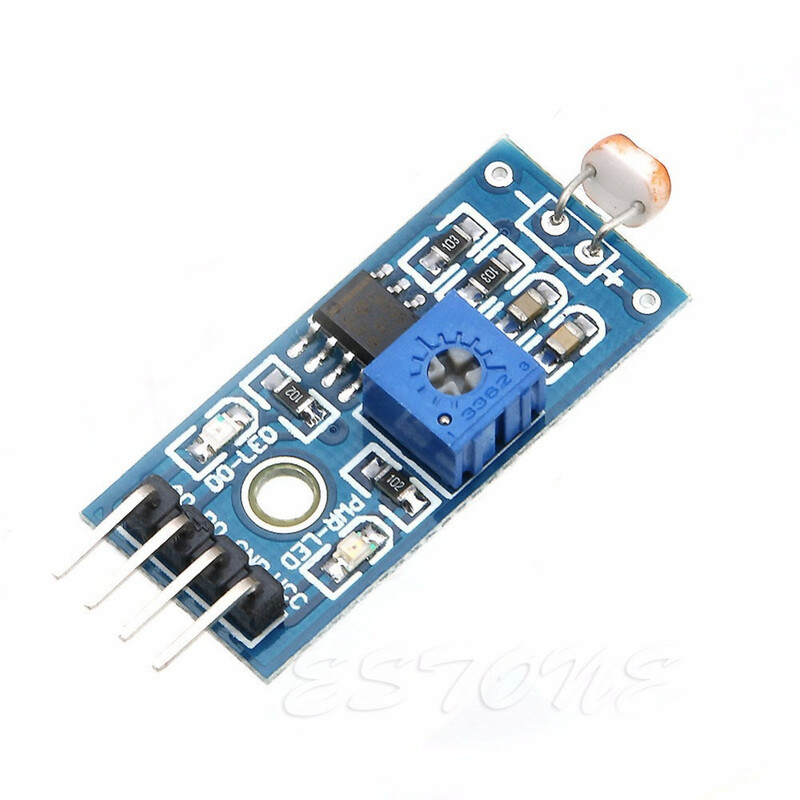 Now of course you could just use a simple breakout board, that you can buy on aliexpress or ebay. They transform the analog light level to a digital value, based upon the value of the trimmer pot. Those breakout boards serve their purpose well on a breadboard. Creating an AtTin85 i2cslave was much harder than I’d thought. Besides the whole circuitry consumed a couple of milli amps. Which is something I didn’t like. The Raspberry Pi 3.3V power supply is really limited. Besides it didn’t made any sense to use a custom made ic for doing light level monitoring only. So I had no other option than the redesign a chines breakout board. After some online research I discovered that the circuits of those boards are really simple. On most of this type of breakout boards an LM393 comparator chip is used, to determine the transition point of much light (digital high) or almost no or none light (digital low). The article in which the circuit was posted explains the circuitry quiet well. The only problem I’m having with this circuitry is the leds. There are two of them. One indicating power and the other representing the digital value – which is actually useful during development. But stripping out both leds out of the circuitry is very easy. And since I have no use for the Analog output I was able to simply-fie the circuitry. I measured the power consumption which is a 1mA. And connected it to my Pi. I powered the circuit with the 3.3V of the Pi and hooked the D1 to GPIO pin 16. 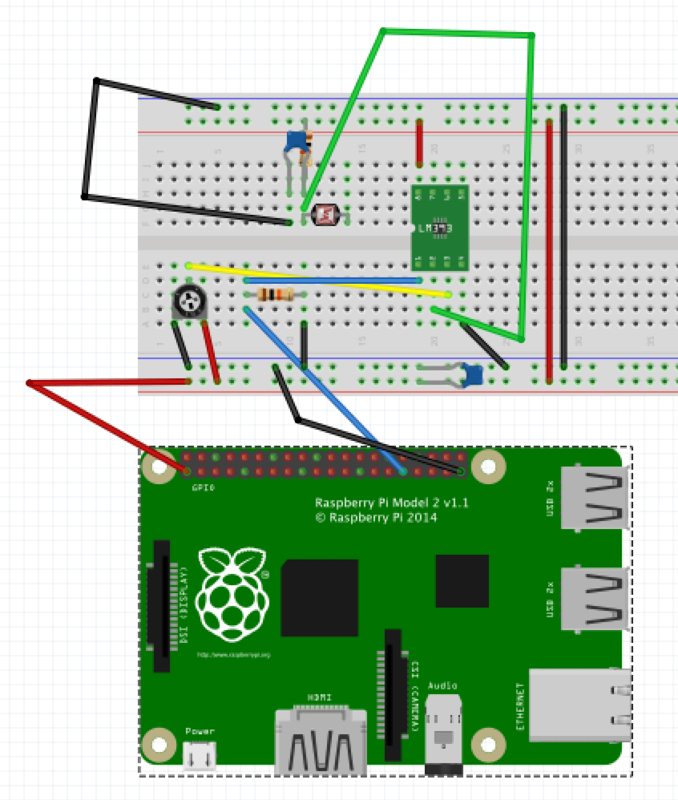 By using the 3.3V I don’t need a level converter between the Raspberry Pi and the D1 pin of the light sensor circuitry. The second capacitor (C2) is probably not needed. But it doesn’t harm. So first design problem solved. Now it’s up to the next, reading the value in a Raspberry Pi script. Which really is simple. Here’s a code snippet. As always I test these kind of circuits on a breadboard for a long time. After two months I consider it a success. Since I have some other challenges before I can start designing the PCB, I’ll leave this part for now. As said before there are four types of people, but most of us can alternate between them. It just depends on where you’re standing and what it is that you want. This entry was posted in Designers logbook and tagged designers blogbook, Light level sensors on April 21, 2018 by Theo.